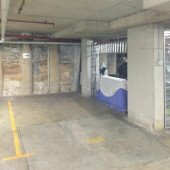 This indoor secure parking space is located just at the base of Hyde Park, on Goulburn Street, Surry Hills. It has 24/7 CCTV coverage, and is accessed via a remote. The car space itself is quite large. Please contact me once the booking is confirmed to collect the remote. This will either be done by a LockBox (located near the parking space), or face-to-face at the garage door.